If you see Code 45 in Device Manager when checking the device status in device properties, you are not alone. 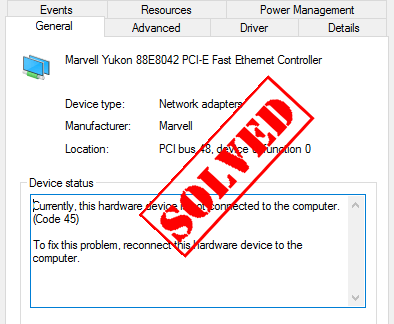 Code 45 is a common error in Device Manager and you can fix Code 45 easily! This error occurs when your computer fails to recognize the connected device, so it can be the hardware or software issue. You can try the following solutions to fix code 45. 1) Disconnect the device from your computer. 2) Check and make sure the connecting ports and cables works properly. You can try the device on another computer, or try another cables on this device to see if it works. 3) If there is something wrong with the connecting hardware, you’ll need to replace it with a new one. If there is nothing wrong with the connecting hardware, continue to the next step. 4) Reconnect your device to the computer again. 5) Check the device status in Device Manager to see if it works now. You’ll see This device is working properly if the issue is solved. There should be something wrong with the driver, so your computer fails to detect and communicate with your device via the device driver. If the driver is missing or out of date in your computer, you may run into the code 45. You can try to update the driver for your device to fix the issue. 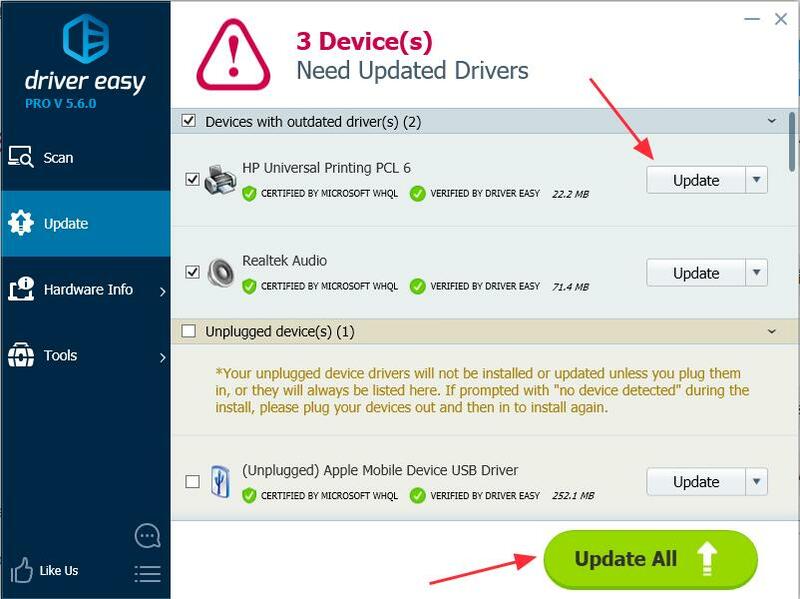 There are two ways to update drivers in your computer: manually and automatically. 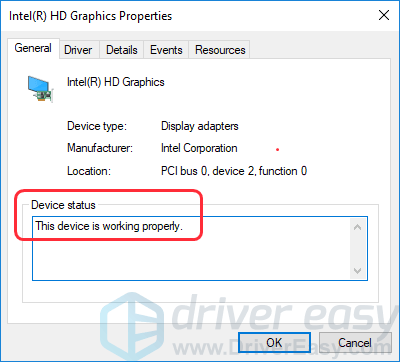 Manually update the driver: you can go to the manufacturer’s website, find the latest driver that is compatible with your variant of Windows system, then install it in your computer. this requires time and computer skills. Since the graphic card drivers vary from manufacturer to manufacturer, and from device model to device model, so we won’t cover it here. 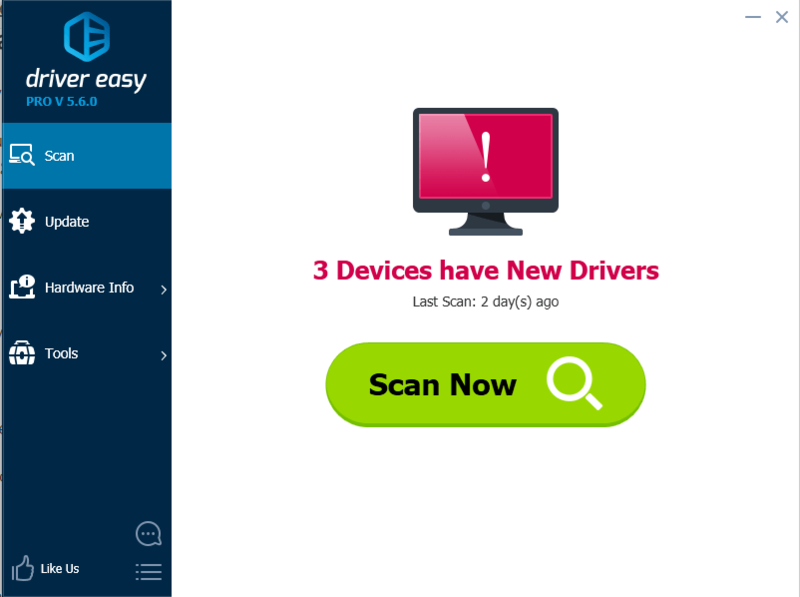 2) Run Driver Easy and click Scan Now, Driver Easy will then scan your computer and detect any problem drivers. 3) Click the Update button next to the flagged driver to automatically download the correct driver (You can do this with the FREE version), then install it in your computer. Or click Update All to automatically install correct version of all drivers that are missing or outdated (You can do this with Pro version – You’ll be prompted to upgrade after clicking Update All). 4) After updating drivers, restart your computer, and reconnect your device to see if the issue is resolved. These are the best solutions to fix Code 45 in Device Manager. If you have any question, feel free to comment below and we’ll see what more we can do to help.